"I am committed to advocating for all workers to get the dignity and respect they deserve." 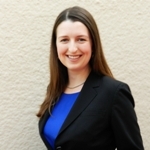 Jean Krasilnikoff is an associate at Siegel LeWitter Malkani and represents clients in state and federal courts, as well as before the National Labor Relations Board and Public Employee Relations Board on a variety of employment and labor law matters. Jean practices exclusively employment and labor law. She has experience in representing clients involving claims of retaliation, harassment, discrimination, labor code violations, wage and hour violations, and wrongful termination. Jean also represents labor unions and their represented employees in cases before the National Labor Relations Board. Prior to attending law school, Jean graduated from New York University with honors. She received her law degree from the University of California, Hastings College of the Law. Prior to joining Siegel LeWitter Malkani, Jean worked for a small plaintiff-side employment law firm and clerked with the California Nurses Association as well as the National Labor Relations Board, San Francisco Division of Judges. Jean is a member of the California State Bar Labor and Employment Section. She is also a member of the California Employment Lawyers Association and volunteers as a Supervising Attorney with the Legal Aid Society- Employment Law Center at its Workers’ Rights Clinic in San Francisco. During law school, Jean was a clinic counselor at the Legal Aid Society-Employment Law Center, and participated in the UC Hastings Civil Justice Clinic, Individual Representation Clinic. Jean also volunteered with the San Francisco Bar Association’s Volunteer Legal Services Program and graduated as a member of the UC Hastings Pro Bono Society. Jean also served as the Executive Symposium Editor of the Hastings Business Law Journal and authored the note, Why Can’t We Be Friends? : Why California Needs a Lifestyle Discrimination Statute to Protect Employees from Employment Actions Based on Their Off-Duty Behavior, published in that journal.